This year’s 33rd Cambridge Film Festival was the first one I attended as an official reviewer for Take One magazine. I wasn’t able to see everything I wanted, but I still got to catch a few interesting films (and crossed Upstream Color off my too-see list, where it’s been pretty much since I first heard about it). Where I didn’t review the film for Take One (excerpts and links to the full review included below), I’ve crossposted the review from my Letterboxd account. A strong debut feature, with a striking visual sense and a feel for life in a small fishing town. 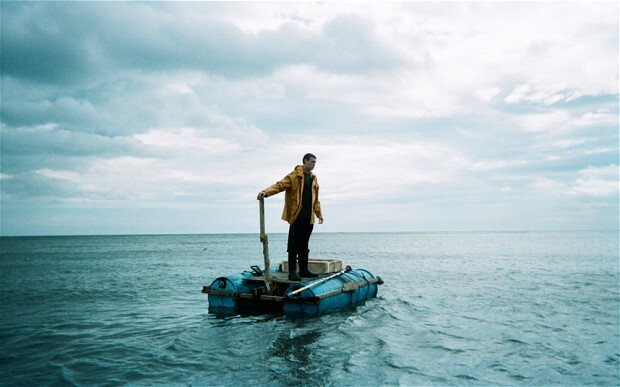 George McKay makes for a vulnerable lead as the lone survivor of a fishing trawler disaster, and Kate Dickie is wonderful as the grieving mother trying to hold onto her son in the midst of the town’s suspicion; the scene where she sings “The First Time I Saw Your Face” at karaoke is a standout. The constant interpolation of different film types, news footage, dream fantasy sequences and ethereal voiceovers create a powerful mood, making the setting into a borderland between ordinary dry land and the mythical, elemental power of the sea. If the catharsis of the ending doesn’t entirely convince, the experience of the film as a whole is rich and strange. The soldiers’ first mission is shot with a kinetic sense of tension and movement, with the hand-held digital cameras roving after characters as they race through the narrow backstreets. A routine patrol turns into a clash with stone-throwing protesters, then a foot chase, and finally an ambush resulting in the death of gung-ho soldier Ilya (Henry David). From there, the film is moored to a central location: the roof from which the ambush took place. Posted there on the orders of their hard-nosed commanding officer, Tomer and three other soldiers settle into a routine of boredom and frustration, eking out petty struggles with the local Palestinian population, most prominently the family whose home they occupy. 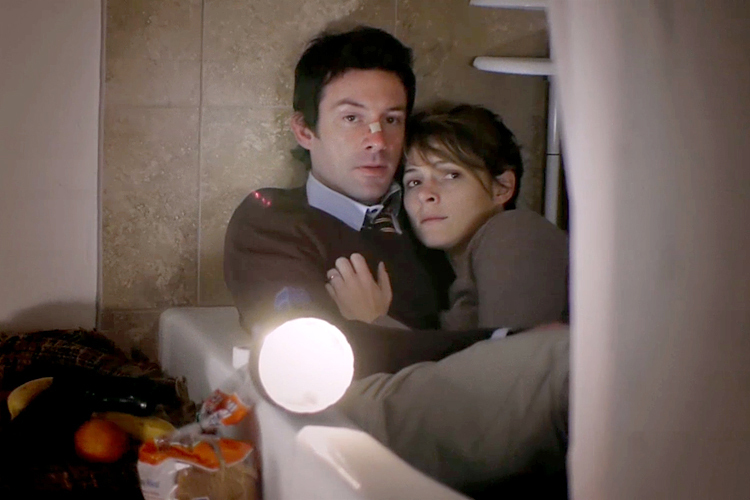 Filtering into the audience’s eyes and minds like an eerie kind of infection, Shane Carruth’s second feature suspends the audience in its dream-state of loose association and surreal concepts. It’s a film unafraid to be utterly filmic, using sound and vision in non-conventional ways to construct mood as a storytelling element. While Amy Seimetz and Carruth play the hesitant connection and eventual romance between these damaged, unsure characters with heart and vulnerability, so many other elements of the film add to the story; the gorgeous cinematography, the colour palette, the score which works so well as to be a character in its own right. One can draw a throughline of interest in how humans relate to the natural world connecting Carruth’s two features. If PRIMER is about the damage caused by running up against the hard, unyielding physical laws of the universe, then UPSTREAM is about the tension between accepting that we are simply biological organisms and reckoning with what consciousness means in light of that. Where does that intangible thing that makes us human reside? It’s richly ambiguous, and never less than gripping. Played by Cenk Medet Alibeyoğlu (discovered by the director while working in his local bar), [protagonist] Balabey is a dour, taciturn railway worker and family man. Constantly slumped into a posture of defeat, he is diffident to the point of near-total silence, with a thick bushy moustache hiding a large part of his face. His volatile, sharply-dressed brother Enver (Ahmet Rıfat Şungar) is his opposite number; their scenes together are coloured by mutual incomprehension. They live in a small remote town in the deep hinterlands where Turkey meets the Caucasus, permanently covered in snow. From the very opening, we are gradually immersed into this slow-moving world via a series of seemingly unconnected scenes. We see vignettes of Balabey and Enver’s home lives, as they navigate fractious relationships with their respective wives (who happen to be sisters) and go about the ordinary business of living. 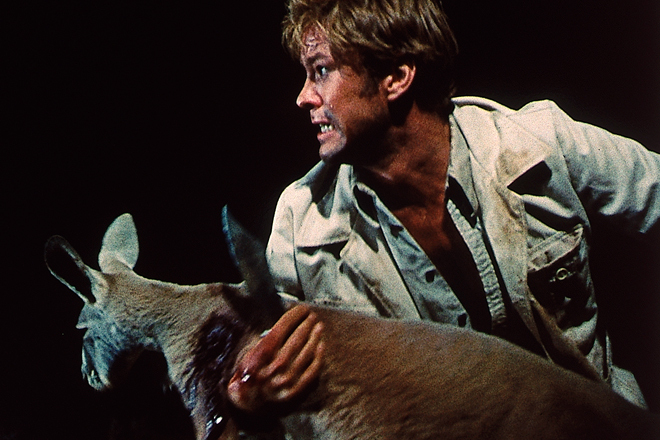 A horror movie where the monster is booze, FRIGHT takes us on a nightmarish tour through the underbelly of outback Australia, fueled by boredom, testosterone, and a seemingly endless supply of beer. The stuffy English teacher protagonist, in his pristine white Roger Moore safari suit, is our fish-out-of-water audience surrogate, but enough of an arrogant snob that we secretly like seeing him fall further into debauchery and madness. Donald Pleasance is great as the devilish alcoholic guiding him through this sweltering underworld. The film achieves a surreal blurring of lines between the films being analysed and the commentary itself. We jump from a clip from Scorsese’s TAXI DRIVER to Zizek addressing the camera from inside Travis Bickle’s filthy apartment. It’s akin to a more typical documentary presenter wandering around castles or battlefields as he recounts historical events. The overall effect is to endorse Zizek’s thesis; works of fiction are rendered solid, as he discusses the power of the invisible messages buried within them. There’s something of Adam Curtis’ playful, casually transgressive video essays in Fiennes’ film. But while Curtis specialises in excavating secret histories from bottomless reserves of archive footage in order to challenge accepted narratives, IDEOLOGY looks at what is hidden in plain sight, embedded into the films that both reflect and construct wider conventions of narrative.